Recap: After Nintendo's E3 showcase, share prices in the company took a seven-point dive. Stock valuation rebounded slightly by less than a percentage point and remains hovering around 39,000 JPY. This price point is well below the 41,710 JPY at the close on Tuesday. Any number of factors can influence a company's stock. Changes in upper management, scandal within the firm, and general public perception can all cause shares to go up or down both slightly and dramatically. Yesterday Nintendo held its E3 press conference, and it left me and others confused and disappointed. 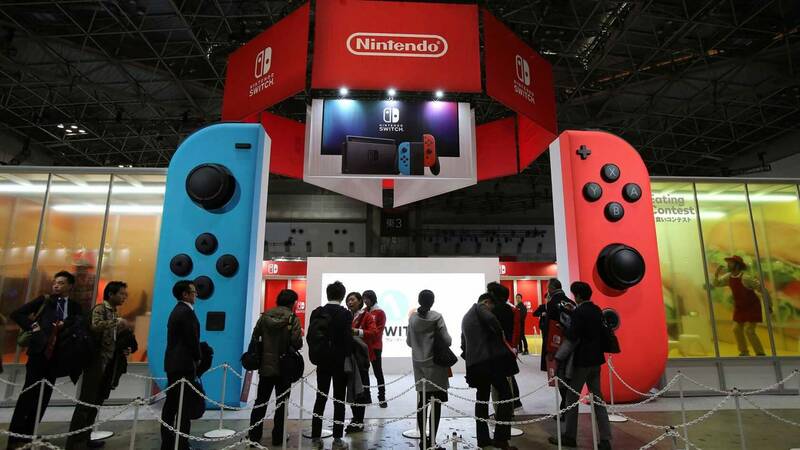 This disappointment seems to have been reflected in Nintendo’s share prices as the company’s stock has plummeted over six percent since yesterday. It did make a small rebound this morning, but as of this writing it is still not back up to pre-E3 levels. It is possible that there are factors other than a bad press conference contributing to the 6.21-percent price drop, but if there are they have not been made public aside from analyst speculation. All indicators seem to point to the E3 Direct presentation being the cause of the dip. Well first, the conference was very poorly put together. Its intention seemed to be to mix the Nintendo Direct with the Super Smash Bros. tournament that was scheduled to coincide with the presentation. The problem was that some of us had no interest in watching the tourney. Most in the press tuned in strictly for game announcements and news. What we got was a few game announcements, frequent intermissions, and a ton of coverage of people playing Super Smash Bros. Personally, I had other things to do and tuned out after the second intermission. So all I got to see announced was Let’s Go, Pikachu!, Let’s Go, Eevee!, some gimmicky little Pokémon ball that saves your Pokémon to take on the go, Fire Emblem: Three Houses, and Super Smash Bros. Ultimate. Fortnite, Dragon Ball Fighter Z, Xenoblade Chronicles 2: Torna - The Golden Country, Daemon X Machina, Overcooked! 2, Killer Queen Black, Hollow Knight, and Octopath Traveler were also covered. However, I missed all those announcements because Nintendo could not keep me interested in their program long enough. The other problem that you can probably see by the above list is, where are all the hotly anticipated titles? Don’t get me wrong, Super Smash Bros. is great, and I suppose a lot of people are excited about the Pokémon entries. However, a lot of people were confused that there was no new info, trailers, or footage of games like Bayonetta 3 and Metroid Prime 4. Okay. Maybe I had my hopes up it would at least confirm the rumor that Metroid Prime 4 is in the works by Bandai Namco, but nothing new on Bayonetta 3, not even a trailer or release date? Come on Nintendo! The whole thing really boiled down to poor planning by Nintendo. Covering the Smash tourney is fine, but don’t hold the press hostage just to get tournament views.